Compulsory voting has been a major feature of Australian electoral arrangements for almost a century and it has proved to be a very effective and well-tolerated mechanism for maintaining high voter turnout. What explains the relatively high public acceptance of the practice in this country? And what conditions need to hold in other settings for compulsory voting to be an appropriate solution to the problem of low and declining turnout? There are also normative issues to consider, particularly whether compulsory voting is an unacceptable violation of democratic values, as is often claimed. 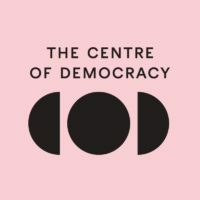 I argue that this objection is fatal only if it is agreed that the choice about whether or not to attend a polling place is more important than a range of other fundamental democratic values that compulsory voting can serve, among them: representativeness, democratic legitimacy, political equality, minimisation of elite power, popular sovereignty and inclusiveness. In order to discredit compulsory voting, it needs to be shown that representative democracy is worse off when people are required to vote. Yet, under the right conditions, the reverse seems to be the case. Lisa Hill is Professor of Politics in the School of Social Sciences at the University of Adelaide. She is a political theorist and historian of political thought with an additional interest in electoral studies. Her work on compulsory voting has appeared in Political Studies, Journal of Theoretical Politics and British Journal of Political Science. She recently co-authored (with Jason Brennan) a book entitled: Compulsory Voting: For and Against, Cambridge University Press.